It doesn't look like Chris Thile will be establishing a home on the prairie anytime soon. Ever since Garrison Keillor tapped the California-raised musician to take over hosting duties for "A Prairie Home Companion," diehards have worried about the show losing its Midwest accent. Concerns heightened when the 2016-17 season was revealed with an abbreviated 13 new broadcasts, only five of them airing from "PHC's" longtime home at St. Paul's Fitzgerald Theatre. Thile also indicated in interviews that he planned to remain in Portland, Ore., where his wife, actress Claire Coffee, shoots the NBC series "Grimm." But then NBC announced that the new season of "Grimm," which starts in January, would also be the last, leaving open the possibility that the couple, along with their 1-year-old son, Calvin, would make Minnesota their new base. Not going to happen — at least not in the near future. 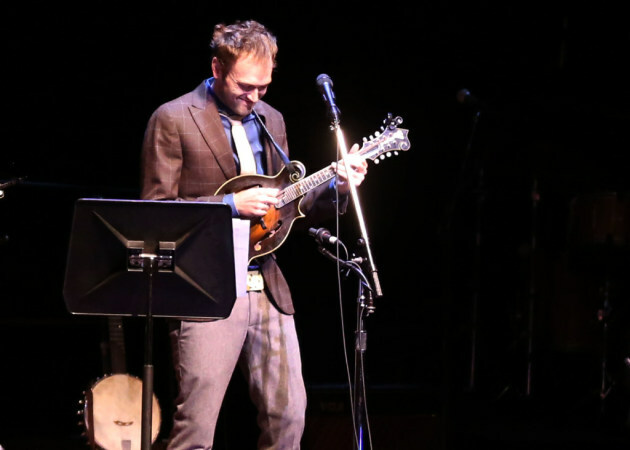 At the start of Saturday's show, Thile altered the lyrics of the opening number to reflect the news that he had just signed a lease on a place in Carroll Gardens, Brooklyn. "I'm coming back!" said Thile to the enthusiastic crowd at Town Hall in -- where else? -- New York. New York makes sense in a lot of ways, with more acting opportunities for Coffee and, if the show decides to do more shows out of the Big Apple, a richer guest list. Steve Martin and Yo-Yo Ma appeared on last weekend's show, big names that were certainly easier to get by not forcing them to fly into the frigid Twin Cities. But stations and fans who believe the show is losing its Midwest roots have even more reason for despair. Could St. Paul eventually be more of an administrative center than a performing one for "PHC"? Not all is lost. Keep in mind that Keillor long maintained residences in both Minnesota and New York. Perhaps it's just a matter of time before Thile does the same.